Earth Day started in the USA in 1970 – it is widely credited with launching the modern environmental movement. Growing from this, the Earth Day Network works with over 22,000 partners in 192 countries to broaden, diversify and mobilise the environmental movement. More than 1 billion people now participate in Earth Day activities each year, making it the largest civic observance in the world. My contribution to Earth Day this year is to reflect on bees and their significance to us and our world. 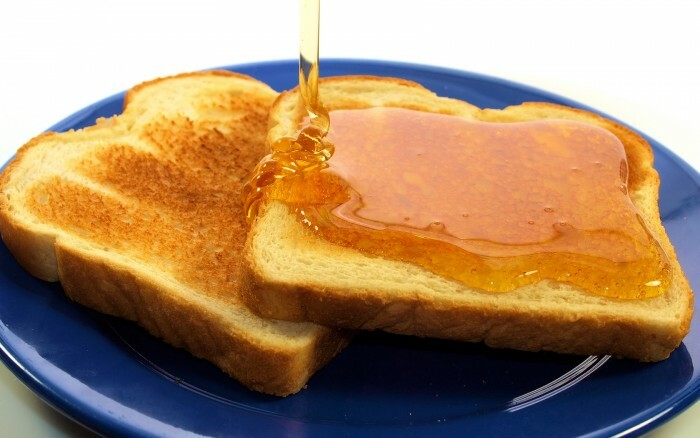 If you’re anything like me, few things come close to the enjoyment I get from hot, buttered toast smothered in honey. I always say a silent thank you to bees, but I have to admit that it’s about the only time I really think about them. However that has now changed – last week I was lucky enough to win a copy of the documentary More Than Honey from Friends of the Earth. Watching it was fascinating and highly educational – I will never take bees for granted again. 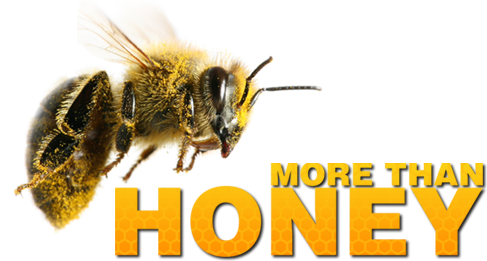 – 1 in 3 mouthfuls of the food we eat is dependent on pollination. 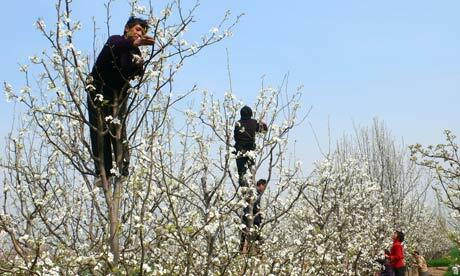 One of the concerns highlighted by the film was what happens when there are no more bees, as is the case in certain areas of China. Pollination by hand is just no comparison to the natural (and free!) activities of bees – highly labour intensive, not half as effective and extremely expensive. The University of Reading has calculated that in the UK, “replacing bee pollination with hand pollination could cost farmers £1.8 billion a year in labour and pollen alone.” If we don’t wake up to the global crisis facing our pollinators, the banking crisis is going to look relatively trivial as the world runs out of food. Being able to see the impact of life after bees should be a wake-up call to the rest of the world. But so far, no good. So it’s not just when I’m eating honey that I should be grateful to bees – life as we know it is dependent on their hard work, our world will look very different without them. Read more about the importance of bees and the multiple threats they are facing in the Friends of the Earth summary of the main findings and recommendations from research by the University of Reading. Get involved in the Friends of the Earth’s Bee Cause – sign their petition and email your MP to campaign for a brilliant National Bee Action Plan. And do so before Friday 2 May as this is when the Government’s consultation ends. The Soil Association has actions you can take as part of their Keep Britain Buzzing campaign. Eat organic food to support farming practices that don’t harm bees. If you can’t establish your own bee-hive, what about adopting one? Make your garden and your church’s garden bee-friendly by your choice of flowers and by not using harmful chemicals and pesticides. Pray for those in positions of power that they become a positive force for good as they influence policies and practices, and for yourself as you make changes to protect a vital part of God’s creation. ← Today is #OwnershipDay – take action!